The 12th Annual Interactive Achievement Award nominations have been revealed, with Media Molecule's LittleBigPlanet dominating the competition with 10 nominations, including Overall Game of the Year. The 12th Annual Interactive Achievement Awards will be presented by The Academy of Interactive Arts and Sciences (AIAS) at next month's D.I.C.E. 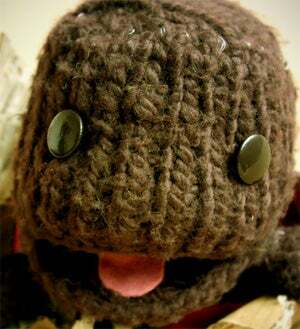 Summit, and sackboy might want to pull out his tuxedo for this one. Media Molecule's LittleBigPlanet might not have sold as well as some of the holiday season's bigger hits, but industry leaders recognize the game's innovation to the tune of 10 nominations. LPB is duking it out against Fallout 3, Grand Theft Auto IV, Left 4 Dead, and Metal Gear Solid 4 for Overall Game of the Year for 2008, which closely follows most gaming website's picks, including ours. Check out the press release below to check out the nominees for Console Game of the Year, Computer Game of the Year, and Handheld Game of the Year, or visit www.interactive.org for the full list. Who are you guys rooting for? * Publisher: Konami Digital Entertainment, Inc.
* Developer: Epic Games, Inc.
* Developer: Level 5, Inc.